We have an abundance of garden fresh tomatoes and basil right now. 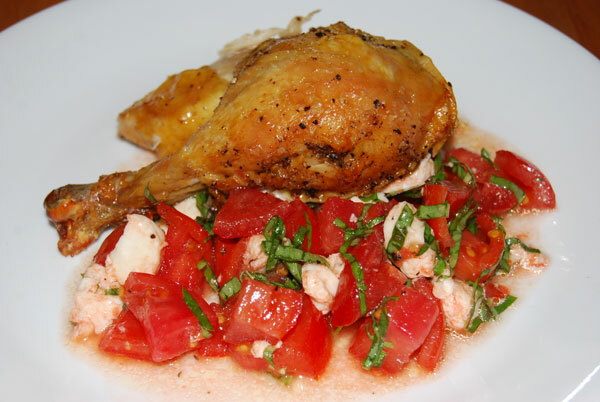 I never get tired of this dish, and when the tomatoes are homegrown they are the BEST. Dice tomatoes and mozzarella. Drizzle with olive oil, and add basil leaves. Salt and pepper to taste. Makes 6 servings. Nothing says late summer like a little caprese. We’ve recently enjoyed it without the cheese using peaches instead – surprisingly delicious. YUM! Definitely worth trying !